The most common art form all over the world after acting and singing is painting. There are many painters around the world, but only a few become famous while most of them struggle to even sell one painting. The most common way for painters to gain recognition is by participating in painting contests. 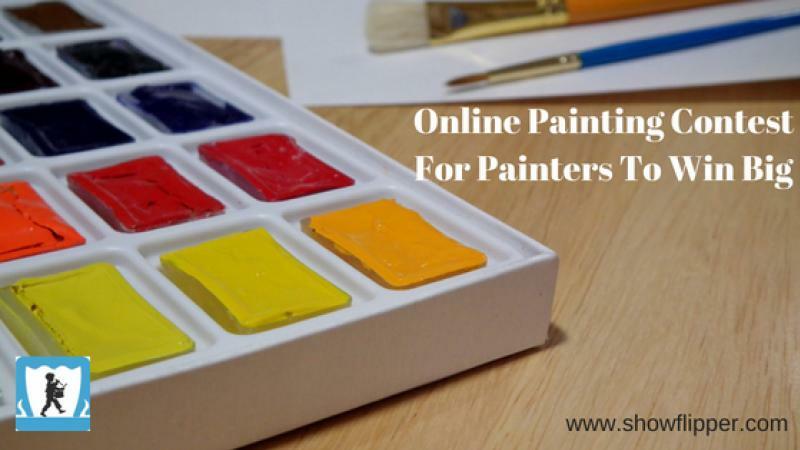 There are many Online Painting Contests all over the world. Painters can get their due recognition only if they enter themselves in very prestigious online art contest. One such prestigious online painting contests is the SF Mega Contest. Why Should Painters Participate In Painting Contests? International exposure to a worldwide audience. Easy reach out to art buyers, art collectors, art dealers, art curators and art affiliates around the world. The chance to compete with fellow painters from around the world. Opportunity to learn new styles and forms of painting. Opportunity to get your artwork evaluated and graded by brilliant and world famous art critiques. You can collaborate with painters from around the world. Brilliant opportunity to sell your art. A chance to win the art contests and earn huge prize money. Increased Confidence: Entering art contest boosts the confidence of the painters. It is not always about winning. It is also about the opportunity to showcase your art to the world alongside many brilliant painters. Updated Portfolio: Photos that are taken at art exhibitions add up to the authenticity of your work and help to develop a painter’s portfolio. Improvement in Vocation: Participation in painting contests helps you to pick up knowledge which improves the painter’s own style to a great extent. ShowFlipper is an online art studio and an artist management company. It provides an art showcase and art selling platform for emerging and amateur painters from around the world. The prestigious SF Mega Contest is an opportunity for all emerging and amateur painters from around the world to participate and compete with brilliant talent from 53 countries. This contest also gives you an opportunity to sell your art to a world audience of art dealers, art curators, art collectors, art buyers and art affiliates. The other benefit of this online painting contest is the prize money. ShowFlipper gives three different cash prizes to winners of the contest. This includes major publicity across online, offline and mobile channels. We are inviting emerging and amateur painters to join our SF Mega Painting Contest. Compete with major painting talent from 53 countries and jumpstart your career. ShowFlipper also lets you sell you art online through its platform. How To Build Matchstick Models For Beginners? Painting in only one style seems like stagnation to me, or a limited testimony.